Standard sizes include 4×6, 6×9, 8×10, 8×12, 11×14, 12×18, 16×20, 18×24, 20×30, 24×30, 24×36, 26×40, 32×40, 30×45, 32×48, 36×54, 40×60, 48×72, 48×96. Custom sizing is available for ALL DuraPlaq products. Satin Paper, Metallic Paper, Canvas, Textured Watercolor Paper, Hahnemuhle Baryta Paper. See Fine Art Paper Printing for standard papers and available finishing options. Satin, Velvet, Semi-Matte and Matte. These high-quality surface finishes feature moisture resistance and ultraviolet light protection. See Fine Art Paper Printing for standard papers and available finishing options. Fill a frame with this durable, glass free framing option. This lightweight product compliments framing applications and bottom stack products. The low profile Slim StandardPlaq can be framed as a cleanable and durable alternative to traditional framing replacing the need for glass and backing components in a frame. Slim StandardPlaqs can conversely be added to a bottom stack to create a dimensional plaque presentation. Due to the thickness of this product no hanging system is included. Slim StandardPlaqs preserve art in an acid-free, moisture resistant, and UV-cured finish, on eco-conscious 1/8” premium wood product substrate. Standard customization includes a selection of beveled edge colors. Recycled, 1/8” eco-friendly wood coated to be acid-free and moisture resistant for ultimate protection and longevity of artwork. Overall depth of product is 1/8” from front face to back. This standard product is available in any size up 48” x 96”. Velvet, Satin, Matte, and Semi-Matte. These high-quality surface finishes add moisture resistance and ultra violet light protection. Please visit the care section for instructions on cleaning and maintenance. No hanger. Due to the thickness of this product no hanging system is provided. Recommended for use in framing applications or combining it with a bottom stack component for a customized look. 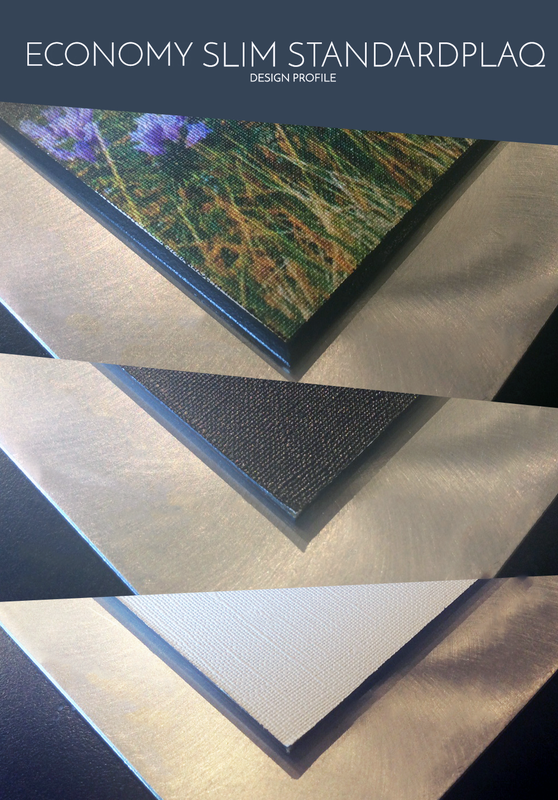 Beveled with any available color above or left raw with no beveled edge for framing, please specify preference. Standard bevel is 1/16” wide. This product may be ordered with no edge for use in framing applications if specified. Please note that when providing artwork or image files, signatures and crucial components of an image or print should be a minimum 1/4” from the edge to accommodate trimming during the production process. 54 6 x 9 $19 $31 See notes below. $19 See notes below. See notes below. 2) Direct Printing is included in pricing. 3) When ordering the Economy StandardPlaq or Economy FloatPlaq, please specify desired edge color. 4) The EconoPlaq is only available in the preset dimension of 8-1/2″ x 11″. Direct print with UV-cured ink and a black edge color, the EconoPlaq includes a keyhole hanger and clear retail box packaging for presentation and shipping. 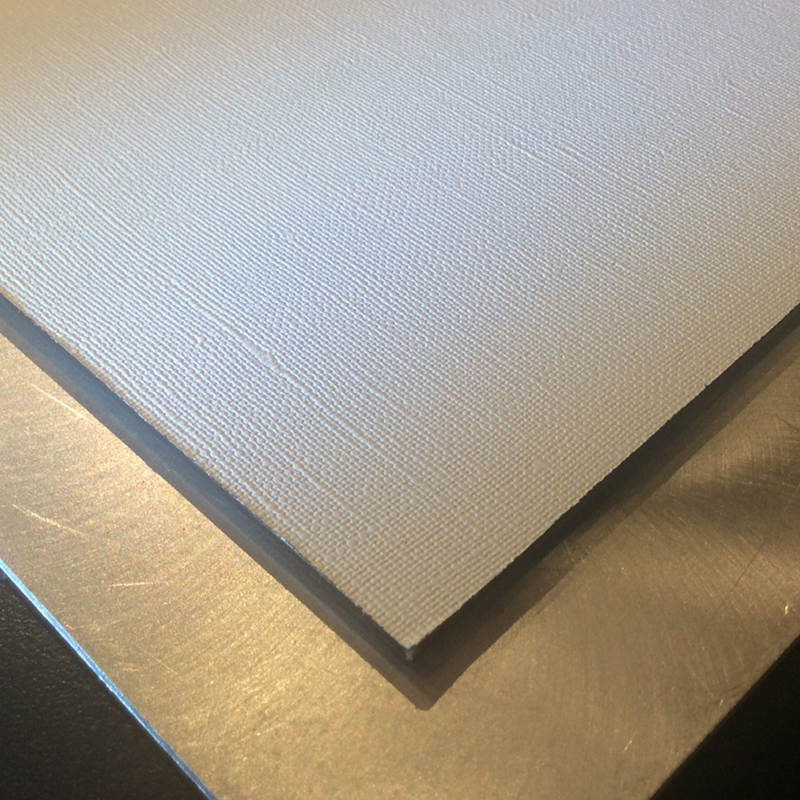 5) The Economy Canvas Slim StandardPlaq is only available with a raw edge for framing purposes. 6) The Economy Canvas Slim StandardPlaq does not include a hanging system (as it is typically utilized for framing) and does not feature beveled edge or edge color option. The Slim StandardPlaq features a print-mounted product with bevel and edge color options. 7) The Economy Wood Coaster has a black edge (only) and a directly print, UV-cured ink application. Please submit image files at 4″ x 4″ size. This coaster product does not include a hanging system. Alternate edge colors for coasters are available for Premium Fine Art Coasters only. 8) Due to the nature of printing to substrates with varying base colors, textures and finishes, there may be variations in the surface and appearance of a direct print. DuraPlaq does not offer replacements on surface or color variations with products featuring a direct print applications.